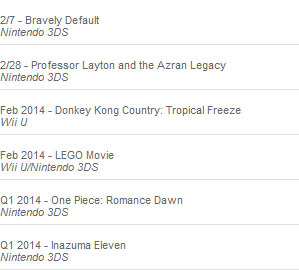 Inazuma Eleven 3DS game set for Q1 2014, according to listing. 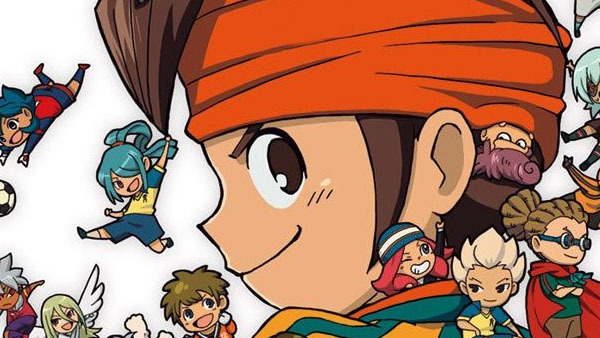 Inazuma Eleven—one of them, at least—is coming to 3DS in North America this year, according to Nintendo’s official website. The release calendar page of the website lists an untitled Inazuma Eleven game for 3DS due out in the first quarter of the year. Inazuma Eleven 1･2･3 would make the most sense, I think, given there hasn’t been an Inazuma Eleven game localized for North America yet. It is a compilation of the first three games, the first two of which were released on DS. And all three have already been localized in English, since they were released in Europe. Then again, this could just be an error by Nintendo of America.